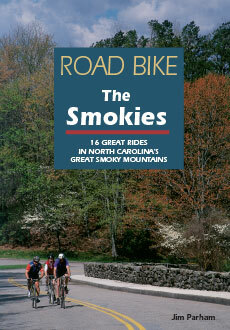 Just a few short hours north of Atlanta, the Georgia mountains offer the best of all possible worlds for road bikers. A mild climate and nearly year-round cycling season, rolling blue ridges, tiny mountain towns and famous apple orchards all add up to a great cycling destination. From the historic Chickamauga Battlefield to the Brasstown Scenic Highway, from Helen to Ellijay to Rome, author Jim Parham lays out rides for all ability levels. 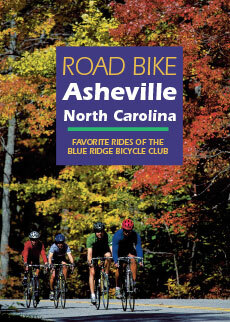 Twenty-five of the region’s best bike routes, ranging from 9 to 62 miles in length, are listed in this guide. As with all the books in our Road Bike series, each route description includes complete directions, detailed map, elevation profile, road surface conditions, mileage and estimated riding times, points of interest and services available along the way. 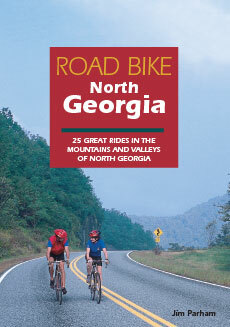 Guidebooks by Jim Parham include: Waterfall Hikes of North Georgia; Day Hiking the North Georgia Mountains; Backpacking Overnights: North Carolina Mountains & South Carolina Upstate; Road Bike the Smokies; Natural Adventures in North Georgia; Mountain Bike Trails: NC Mountains & SC Upstate; Hiking & Mountain Biking Pisgah Forest; and Mountain Bike Trails: N GA Mountains & Southeast TN.